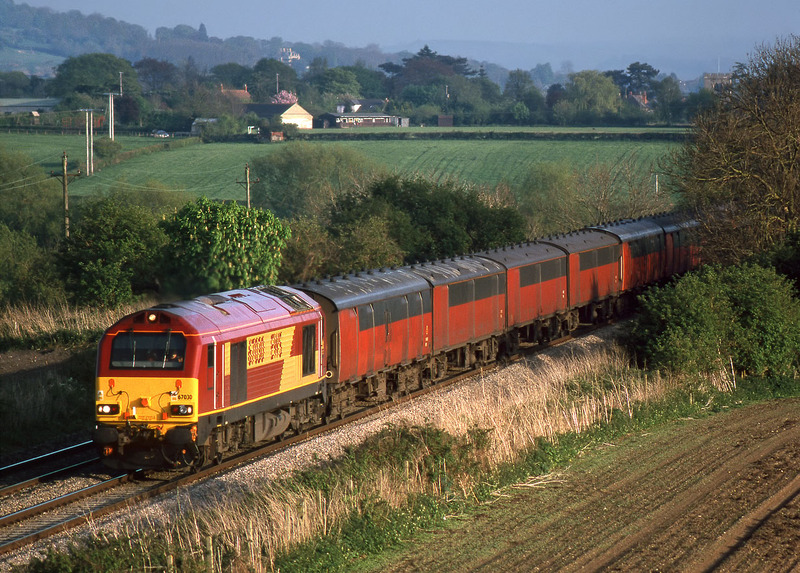 67030 emerges from the bushes at Defford on 23 April 2002 with the 1E43 15:09 Plymouth to Low Fell Royal Mail service. This of course being the type of train that these locos were designed for. Unfortunately within a couple of years this traffic would be lost to rail and it would be a while before the class would find any further practical use.